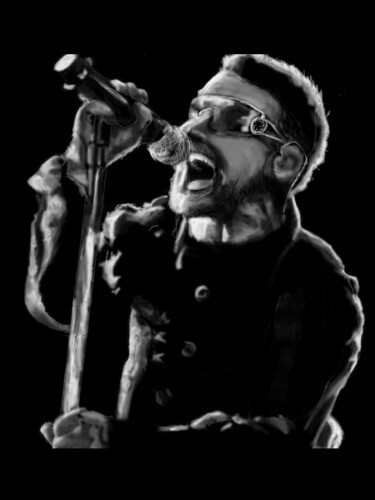 Bono (drawing). dont deny tht i didnt draw it.... my 'rents thought it was a litrato of Bono... they were like oh.. we thought u were kidding. HD Wallpaper and background images in the U2 club tagged: u2 icon the edge adam clayton rock band bono. This U2 fan art might contain konsiyerto.